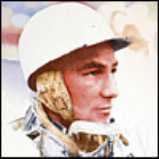 Later that year Macklin was the driver of the ill-fated 100S at Le Mans. While braking to avoid Mike Hawthorn's Jaguar his car was struck from behind by Levegh's Mercedes which took off into the crowd killing more than 80 people. brakes made it look like he was always on the edge as he slid the car through corners while scrubbing off speed with his tyres. Thompson used the same method in the Healey and came in for some criticism. Road and Track describing his first race as "the most hair raising drive seen at that popular course for some time"
Like Enzo Ferrari, Donald Healey was a competitor who built his cars with competition in mind. Healey, who had a pilot's licence before a drivers licence, began competing in 1921. His first 'race car' was a Buick!, an ex-taxi that he used in local trials. In 1929 he drove a Triumph Super Seven in the Monte Carlo Rally and together with Tommy Wisdom won the Mont des Mules trophy for best time on that hillclimb. In 1930 he was European Hill Climb champion in a 41/2 litre Invicta, while in 1931 co-driving an S-type version of the same car he won the Monte Carlo Rally. He also finished second in 1932 event. 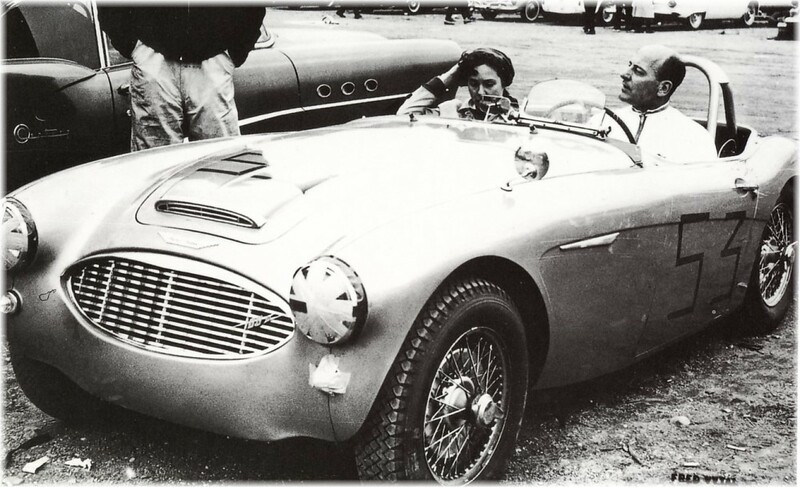 In 1948, together with son Geoff he finished 9th in his first Mille Miglia, driving a Healey "Westland Roadster"
The original 100 was designed with club racing in mind, hence its novel folding windshield to improve aerodynamics. 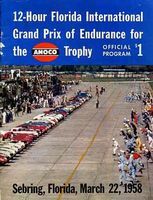 The 100S derived its name from the Sebring 12 hour race, a prototype S being driven to third place in the 1954 event by Lance Macklin and George Huntoon. Stirling Moss finished ahead of them driving an OSCA. Moss was back the following year this time partnering Macklin in the works entry Healey. They finished sixth behind more exotic machinery and Austin-Healeys were 1-2-3 in the production class. Unfortunately a 100-Six did not get to run in the most famous race of all, The 24 Hours of Le Mans. 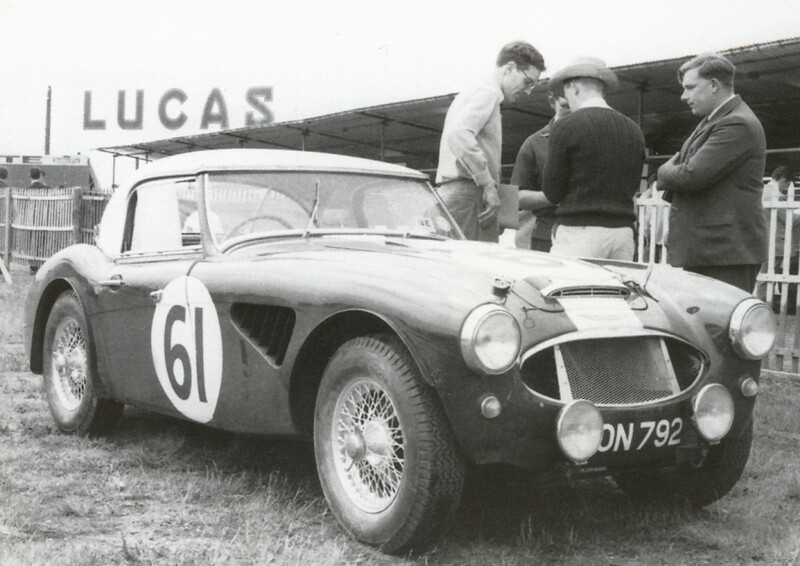 In 1961 one did come very close however.TON 792 an ex works Rally Car was entered as a substitute car by the Cambridge Racing Team but despite getting up as high as first reserve car it was frustratingly not called upon to race. Famous New York restauranteur Vincent Sardi was also a keen amateur racer and the picture shows him in his 100-Six at Lime Rock Park racetrack. Sardi finished his racing career in the 100-Six having previously owned and raced a 100S. 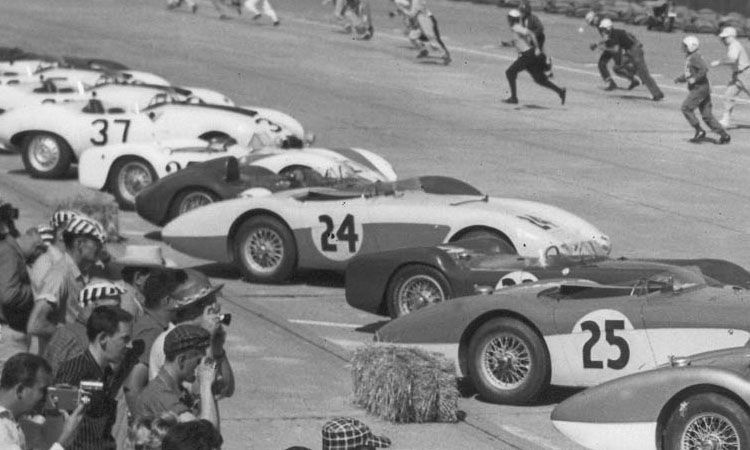 In 1958 the 100-Six returned to Sebring with improved results. 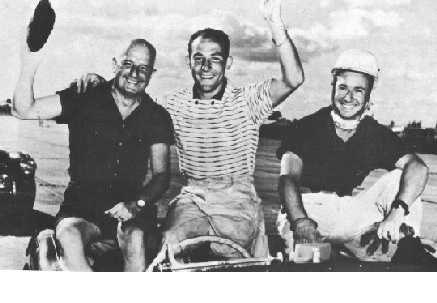 A three car team of "local' drivers captured the Manufacturers Team prize. The cars were slightly modified and had all wheel disc brakes which had been homolgated by the production of about 40 cars.with this option. "The car had a four speed transmission with overdrive that effectively gave it six forward speeds. I had never driven the car before the first race and took a few laps to get accustomed to the overdrive system."!!! The 100-Six went racing on its introduction. 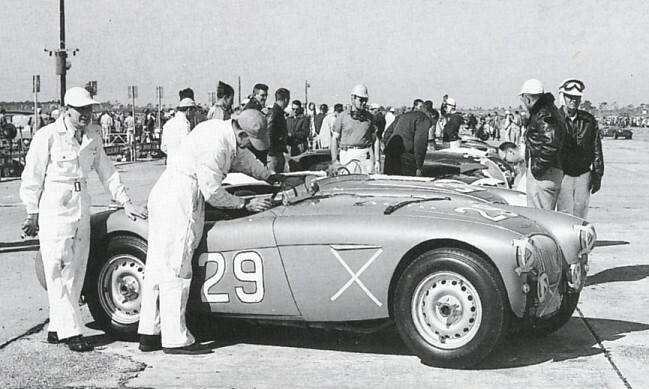 The Healey company was anxious for more publicity for spring sales of the new six-cylinder car and in 1957 they entered three modified 100-Sixs for Sebring. The cars had dramatic streamlined bodies and Weber carburetors similar to the 1956 Bonneville endurance car. They ran into engine trouble although one of the cars limped home to finishd 2nd in class but well down overall. Thompson, centre. 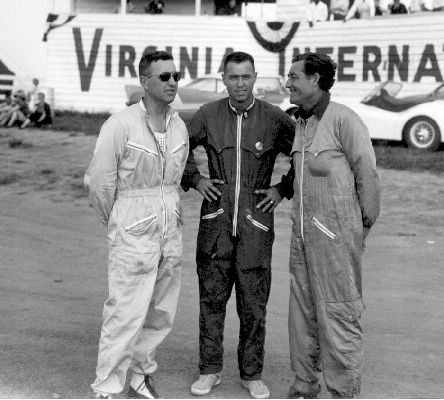 pictured with Briggs Cunningham, right.